In addition to on-water demonstrations, Kongsberg is also planning a booth packed with new technology at Ocean Business, based on the theme of ‘Delivering data from the seabed to your office’. Alongside the first showing at a UK event of the ground-breaking Eelume swimming robot, the company will unveil several brand-new products including: A unique turnkey survey platform, an innovative compact environmental monitoring and communication system, developments of the Kongsberg Seaglider range with new models and additions to the Seapath position, heading and attitude sensors portfolio. 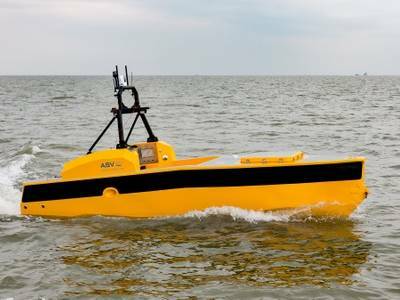 ASV Global’s C-Worker 5 ASV will operate from the dockside waters during Ocean Business using an extensive suite of Kongsberg technology. Live telemetry and data will be streamed directly to Kongsberg Maritime’s stand (P2), giving Ocean Business visitors the chance to see how integration supports the quality of survey data and the ability to view it in real-time. C-Worker 5 will also stream live to ASV Global’s stand (U4) with focus on telemetry for ASV operations. The Kongsberg installation including the new EM2040P multibeam echo sounder, Seapath 130 heading, attitude and positioning sensors and MicroPAP acoustic positioning systems represents the cutting edge of compact and portable technology for subsea survey operations on small platforms. Two-way data communication is handled by the unique Maritime Broadband Radio solution which can stream high throughput data and media at ranges greater than 25km. 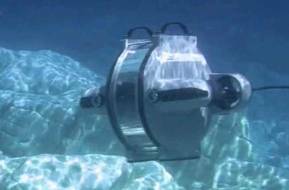 Underwater positioning will be provided by industry-standard cNODE transponders. While delivering leading performance as distinct technology platforms for subsea survey and positioning operations, the interoperability between the Kongsberg technology on C-Worker 5 offers significant operational benefits for both ASVs and manned vessels. “The benefit of providing a completely integrated solution is in the quality control of all aspects of the interfacing and interoperability of the separate systems. By having the knowledge and control of this tight integration we can maximise the high quality of the data output. The combination of integrated systems in conjunction with the real-time data transfer and remote operations enhances the ability to gather high quality data in the most efficient manner,” said Helge Uhlen, VP Subsea Sales, Kongsberg Maritime.